Braces aren’t fun for anybody, and they aren’t exactly the most aesthetically pleasing thing either. 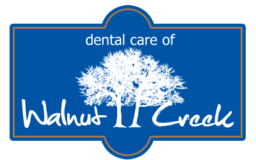 Most people think that if they have crooked teeth and want them fixed they are doomed to have visible metal on their teeth for an extended period of time, but with our Walnut Creek Invisalign treatment, you don’t have to have the usual bands, brackets, and wires that constitute normal braces. Invisalign can give you a great smile without people even knowing that its there! So how does this work you ask? Invisalign is similar to retainers because it utilizes aligner trays. It is made from a clear, flexible material that is custom made for each patient’s teeth to work effectively and have a snug fit. Like braces, the aligners shift your teeth subtly and gradually, applying force where necessary so you can have a great smile in due time. Invisalign requires replacement of the aligners around every 2-4 weeks, so the you will have to go the orthodontist somewhat frequently. · The aspect of Invisalign that really attracts people is in the name, its invisible. If you don’t want heavy metal on your mouth cramping your style, Invisalign is definitely the orthodontic option for you. · Want to have a nice bagel for breakfast? Or have a piece of gum or popcorn at the movies? If you have traditional braces you have to take these foods out of your diet, but with Invisalign you remove the retainer while you eat so you don’t have to make any diet changes at all! If you don’t want your orthodontic treatment forcing you to give up some of your favorite foods, go with Invisalign. Invisalign treatment typically lasts around one year. 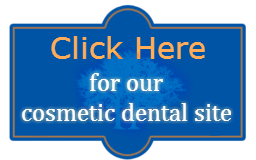 If you think that Invisalign is the best option for you come into our offices for a consultation today.